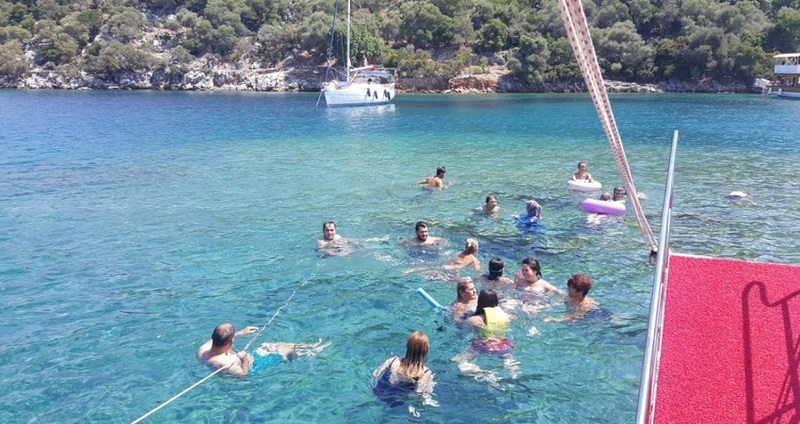 If you are looking for an all encompassing experience during your vacation at Sarigerme, and if you would like to get to know and see as much as possible of our dreamy coastline while you are on your holiday, then Sarigerme 12 Islands Boat Trip is the perfect offer for you. 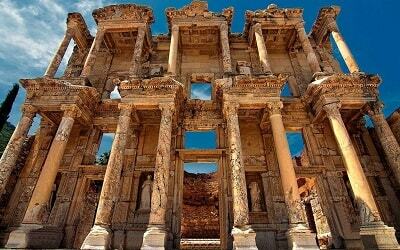 Sarigerme might be one of the vacation-gems of Turkey, but there is still so much to see and visit while you are here. That is exactly why our broad offer of excursions includes a lavish and fun trip to 12 islands situated in the gorgeous emerald waters of the Gulf. The 12 Islands include the popular Cleopatra Bath, Bedri Rahmi cove, Yassica Islands, Gobun Cove, Knight Island, Tersane Island, Zeytin Island, Domuz Island, and much more. Each of the islands we will be visiting on this tour has its own personality and charm. Tersane is the biggest one, with numerous great sunbathing and swimming spots, while Solvaye Knight is a popular vacation resort in the summer period. The smaller island like those of Gemile, Karacoren and the Belcegiz gulf are somewhat desolate, but charming and alluring in some special peaceful way. Our marvelous tour includes pick-up and drop-back services, as well services of a skillful and informed English-speaking guide. The tour starts with a cozy drive from your hotel to Gocek, which is the gateway to our destination. 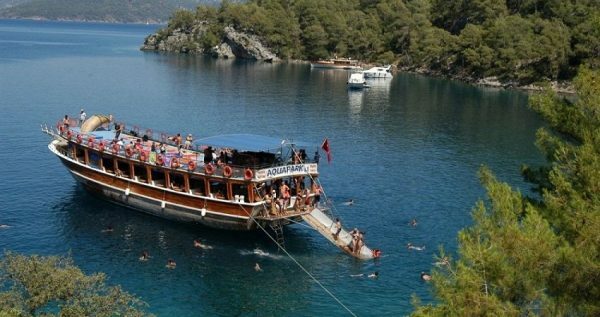 Gocek itself is one top-notch vacation destinations, as it hosts numerous wonderful coves and beautiful bays. Gocek’s convenient location also helped it establish its status as one of the best yachting spots in this part of the world. We will be traveling in style with one of our best boats. 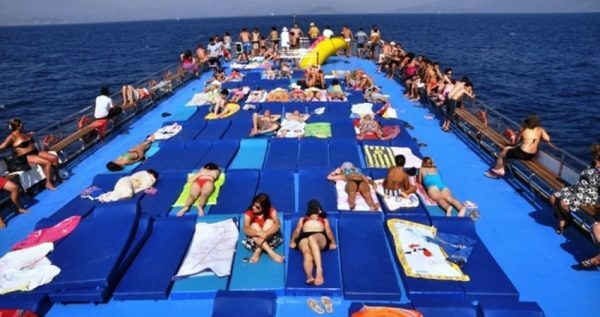 Unlike most other tour boats, our boat comes with two showers, and two toilets, as well as two ladders and a flat, sunny platform. This trip also includes a delicious barbecue meal on the boat’s deck, and numerous delightful breaks. You will be able to fully relax and enjoy swimming in the warm waters of Mediterranean, and sunbathing on some of the gorgeous golden beaches of several bays and coves. If you want to experience this great, scenic tour and be a part of a unique and memorable excursion, make sure you book your spot early. This tour is among favorites in our off and it gets sold out pretty quickly. Stop overthinking your options, book your dream tour with us, you won’t regret it! Sun Creams, Sun Glasses, Swimming Costumes, Towels, Comfortable Shoes or Sneakers that can be worn in the water. Do not forget your snorkelling equipments. Bring your smile, your day will be great! If you like natural beauties and Mediterranean sea Sarigerme Dalyan Tour can be another good day out for you. Sarigerme 12 Islands Boat Trip starts at 9.00 in the morning when one of our vehicles will come and pick you up in front of your hotel. 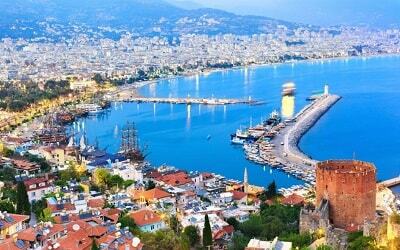 You will be taken for a comfortable 30-minute long drive to Gocek. Once we arrive to beautiful Gocek, you will board our lavish boat, and set sail into the Mediterranean. Cleopatra Bath is one of the first stops on our journey. 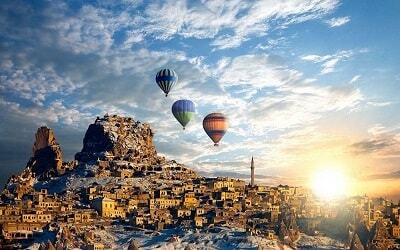 It is one of the most famous tour destinations in Turkey, and very popular among European tourists. This lovely spot is also known as the Hammam Bay, and it is best known because Cleopatra bathed there at least twice during her lifetime. It is said to be her favorite spot to visit during her honeymoon with Marc Antony. 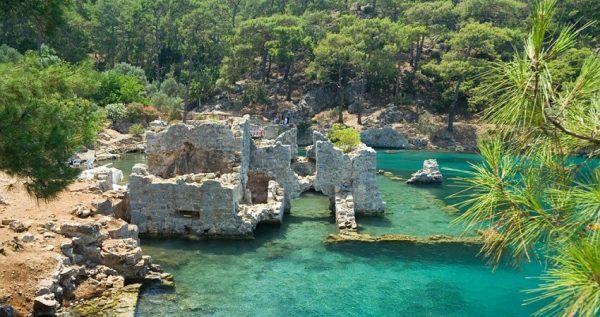 The island features impressive ruins of beautiful hammam, which are now completely under water, as well as remains of the Lydae Ancient City. The Yassica Islands, also known by the name of Yassicalar, are one of the main tour destinations of our 12 Islands Boat Trip. These stunning islands don’t feature any facilities, but are made of five small islands, each lovely in its own way. One of the small islands, called Saytanil Ada, is a part of the folklore tales, as one of the legends says that it was the place where the devil himself lived. The Gobun Cove is a true hidden treasure of this journey, as one could easily miss seeing it during the voyage. This charming island houses numerous smaller boats during the period of winter. The island is not suitable for bigger boats as it the waters around it are only 5-7 meters deep. 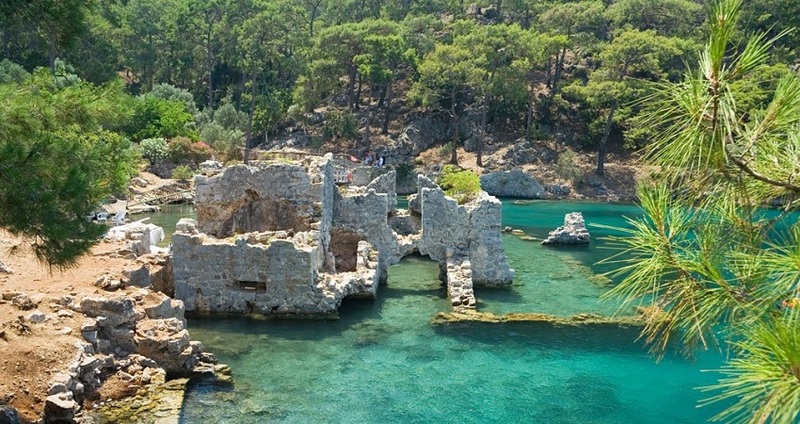 The Gobun Cove offers a unique and stunning view of underwater ruins from ancient settlements, and also a gorgeous view of the Gocek Bay if you decide to climb to the top. Bedri Rahmi Cove is one of the favorite destinations of the history buffs and nature enthusiasts. 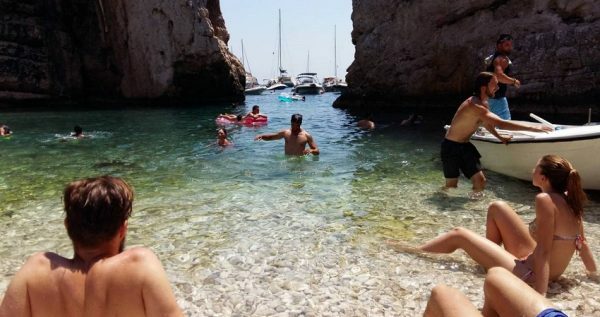 The island hosts several simple tombs hidden behind the rocks and trees, as well as gorgeous picturesque mixture of vibrant oleanders and turquoise waters. Somewhere along the trip, we will serve a delicious barbecue lunch on the deck of our boat, so you can refresh and continue this lovely tour with a renewed strength. 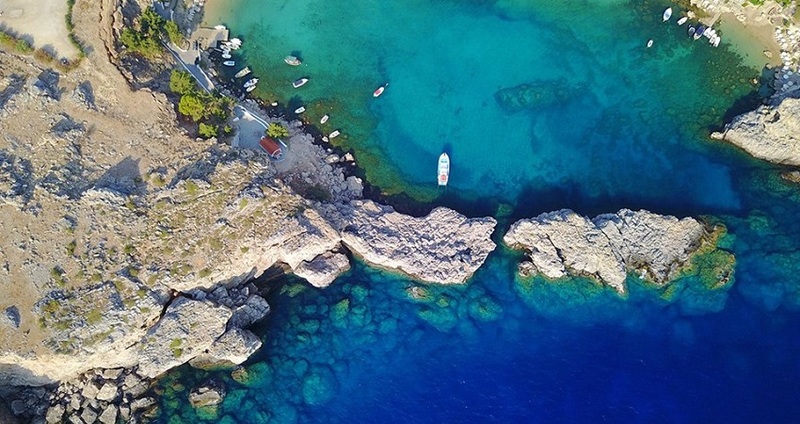 This Island was once inhibited by the famous Knights of Rhodes, and that is how it got its name. Today it features numerous cafes and motels that offer numerous tours around the island. 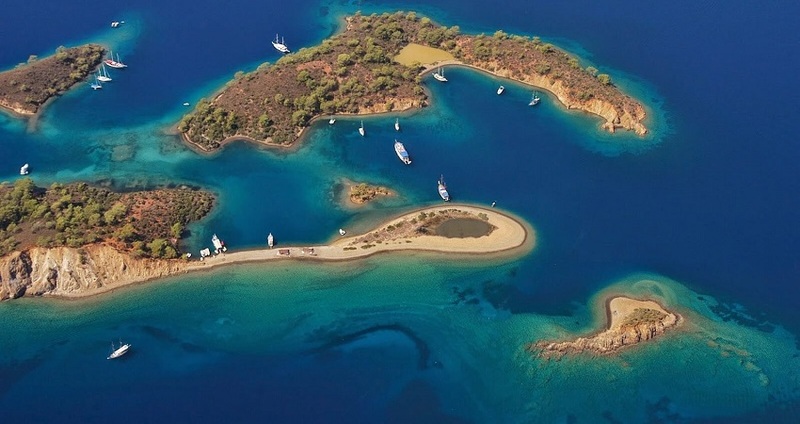 Zeytin Ada, or Olive Island, is a private island, situated in the southern areas of the Yassica islands. 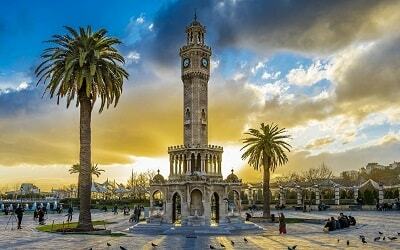 It features an Ottoman period olive oil workshop. Tersane Adasi, or Dockyard Island, is one of the biggest islands in the gulf. 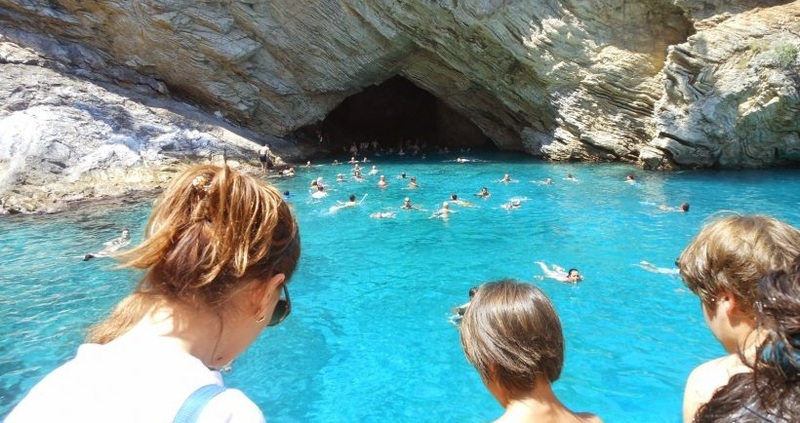 It hosts the Greek ruins of ancient watchtower, and it is considered to be one of the best destinations for boats. Domuz Adasi, or Pig Island, got its name due to the fact that it was ponce vastly populated with boars, which made it very popular hunting spot. Today it is a great spot for nature enthusiasts, because of its terrific natural scenery. 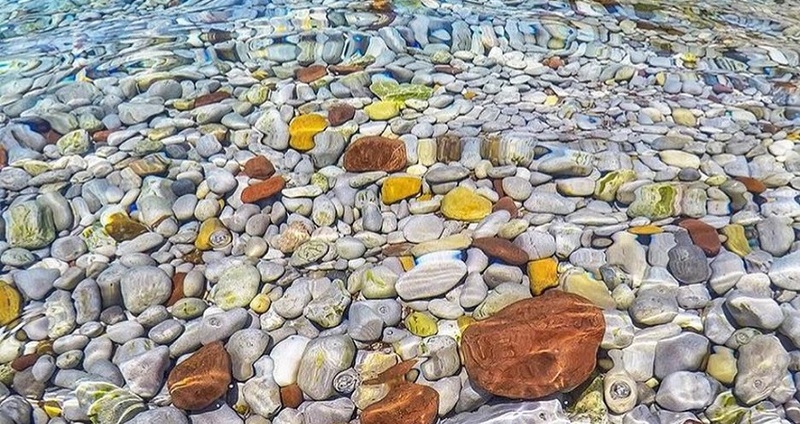 Delikili Adalar consists of four islands: the Heybeliada, Buyukada, Kinaliada, and Burgazada. It is very popular among both tourists and locals. The environment is especially interesting to the big-city folks, as it is very calm and peaceful. We are expected to arrive to Gocek at approximately 5.30 in the afternoon and transfer you back to Sarigerme.